Who invented Gatorade? The name of the person credited with inventing Gatorade is Dr. J. Robert Cade (1927 - 2007) and a team of scientists at the University of Florida College of Medicine. Robert Cade is not only famous as the American inventor of Gatorade but also as a physician and nephrologist (a specialist in the study of the kidneys and its diseases). When was Gatorade invented? Robert Cade invented Gatorade in 1965, during the Cold War period of invention. Definition of Gatorade: Gatorade is defined as a brand of sports-themed beverage currently manufactured by PepsiCo. The name is derived from the collective nickname of the intercollegiate sports teams that represent the University of Florida, the Florida Gators. Fact 1: Who invented Gatorade? Gatorade was invented in 1965 by Dr. J. Robert Cade and a team of scientists at the University of Florida College of Medicine. Fact 2: Who invented Gatorade? Prior to the invention of Gatorade in 1965, there was not a drink that had been specifically designed to replace the water, salt and minerals lost in sweat during sports games played in high temperatures with enough sugar to keep the athlete's blood sugar up. Fact 3: Who invented Gatorade? Such a drink would protect athletes from heat-related injuries and dehydration. Fact 4: Who invented Gatorade? The inventor of Gatorade, James Robert Cade, was born on September 26, 1927 in San Antonio, Texas, United States and died on November 27, 2007. Fact 5: Who invented Gatorade? The early years of Robert Cade were spent in San Antonio, Texas, United States where he was raised by his family. Robert Cade was educated at Brackenridge High School and continued his education at the University of Texas, Southwestern Medical School in Dallas, Texas and and Cornell University Medical College in New York City. Fact 6: Who invented Gatorade? Following his education Robert Cade was appointed assistant professor in the renal division in 1961 at the University of Florida College of Medicine where he also worked as a medical researcher. Fact 7: Who invented Gatorade? 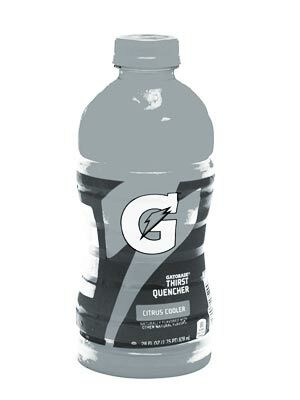 The invention of Gatorade began in 1965 when the assistant football coach of the Florida Gators, Dwayne Douglas, raised concerns about the effect of the summer Florida heat wave on the performance of his players. During just one weekend in August 25 of his players had been admitted to the University's infirmary with heat-related illnesses. Fact 8: Who invented Gatorade? 37-year-old Robert Cade was well known on the campus as a sports enthusiast but most importantly he was nephrologist, a specialist in the study of the kidneys and its diseases, a medical researcher and he had also studied the physiology of exercise. If anyone was perfect for investigating the problems and resolve the issues relating to heat exhaustion and dehydration it was Robert Cade. Fact 9: Who invented Gatorade? Robert Cade worked with a team of researchers including Dr. Dana Shires, Dr. H. James Free and Dr. Alex de Quesada and they all enthusiastically embarked on the project which would help the University's athletes and football players. Fact 10: Who invented Gatorade? Their investigations provided them with some startling information. Players were losing up to 18 pounds (8.2 kilograms) in weight during the Florida Gator's football games and that about 90% of the loss was water. Fact 11: Who invented Gatorade? Robert Cade and his team began to investigate why replacing the water wasn’t enough to hydrate players on the football field. Fact 12: Who invented Gatorade? It soon became evident that the athletes were not only losing water when they sweated but they were also losing electrolytes - salts and minerals such as potassium, calcium, and sodium that can conduct electrical impulses in the body. Fact 12: Who invented Gatorade? The doctors also realized that water could not replenish the carbohydrates the players' bodies used for energy during the football games. Blood sugar, that the bloodstream carries to all the cells in the body to supply energy, was not being replaced. Fact 13: Who invented Gatorade? Robert Cade and his team began work to develop a drink that contained water, salts, minerals and sugars that could be absorbed quickly to replace what the players had lost through sweating and exercise. Fact 14: Who invented Gatorade? They developed a series of concoctions that would solve the problem - but it tasted absolutely terrible. Athletes who tried the concoction said that it tasted worse than sweat and others said it was like drinking seawater - most choked when they drank the concoction! Fact 15: Who invented Gatorade? Robert Cade and his team experimented with various combinations and eventually came up with a a winning formula consisting of water, sodium, potassium, phosphate, lemon juice and sugar. The football players and other athletes at Florida University liked the taste but, more importantly, the beverage proved to be extremely effective. Fact 16: Who invented Gatorade? The medical team who created the beverage initially called the drink "Cade's Aid" and distributed the beverage during the Florida Gator's football team. It was renamed "Gatorade" after the Florida Gators who had started to gain wins in their games. Fact 17: Who invented Gatorade? The new sports drink was patented by Robert Cade who offered his patent rights to the University of Florida. The University of Florida declined his offer in 1965 but later engaged in a court battle over royalty rights and eventually struck a deal in 1973 that allowed the university to reap a share of royalties for Gatorade each year. Fact 18: Who invented Gatorade? Gatorade gained national attention when the Florida Gators credited their stamina during their 1967 Orange Bowl win to the beverage. Fact 19: Who invented Gatorade? The Stokely-Van Camp company purchased the rights to Gatorade in 1967 and the drink appeared in supermarkets a year later. Fact 20: Who invented Gatorade? Quaker Oats bought the rights in 1983 and began marketing Gatorade nationally. Fact 21: Who invented Gatorade? In 2001 PepsiCo acquired Quaker Oats and with it came the rights to Gatorade which went to achieve billions of sales world wide. Fact 22: Who invented Gatorade? Dr. J. Robert Cade died on November 27, 2007 but will always be remembered for his invention of Gatorade. Who Invented Gatorade - Dr. J. Robert Cade - Inventor - Invention - Definition - Meaning - Famous - Important - Gatorade History - Innovation - Significant - Development - Food and Drink - First - Definition - Kids - Facts - Information - Info - Who invented Gatorade - Dates - When - Why - Impact - Purpose - Use - New - Old - Amazing - Best - Definition - Meaning - Awesome - Cool - American - History - Who Invented Gatorade?